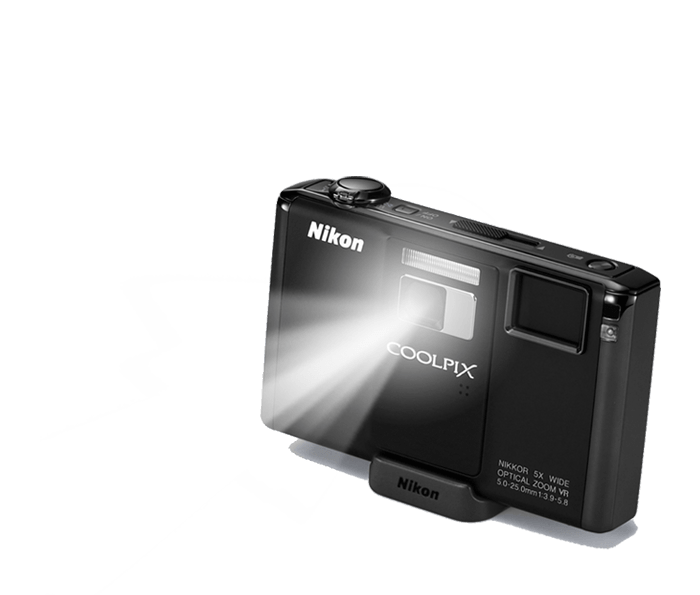 World’s first camera with an ultra-small, built-in projector provides new ways for enjoying your pictures anytime and anywhere. Among digital cameras as of July 10, 2009 (according to research conducted by Nikon Corporation). Hybrid VR Image Stabilization combines Optical and Electronic VR Image Stabilization to minimize the effects of camera shake.